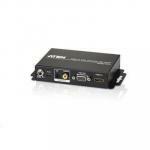 Unitek Y-6333 HDMI to VGA Converter with Audio output. 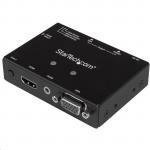 HDMI1.4b standard 1080P UXGA resolution. "Very nice and cheap connectors. 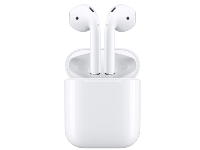 Used a hundred or two of those for past two years, everything works, no faulty ones so far." 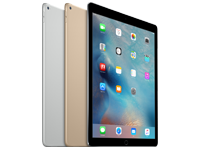 "Solid adaptor - fixed issues with previous adaptor that had no cable and did not remain in socket well with weight of cable attached." 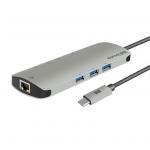 "Excellent product to connect HDMI on Notebook PC to a separate LCD Screen. I have clients who are using this product & there's been no problems. 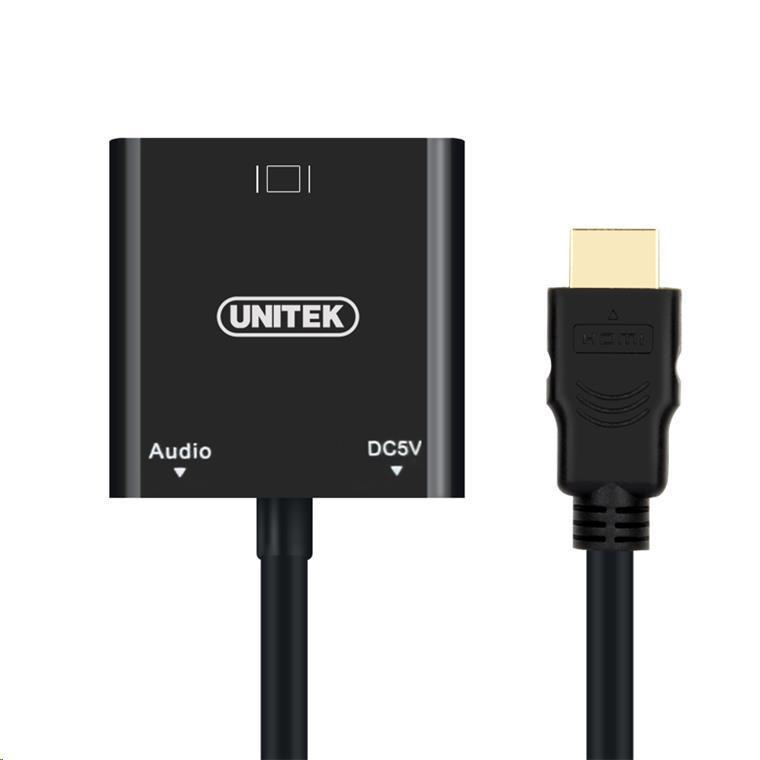 Found this product consistently works very well & hig..."
This item: Unitek Y-6333 HDMI to VGA Converter with Audio output. 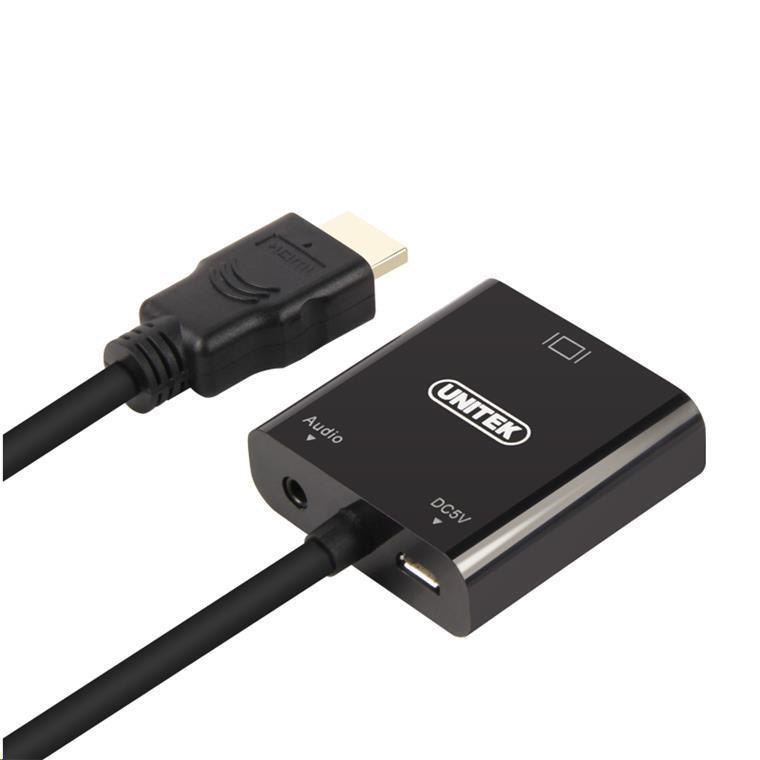 HDMI1.4b standard 1080P UXGA resolution. 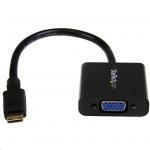 Y-6333 is a high-performance converter which converts the signal from HDMI interface to VGA interface. 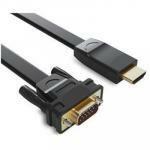 With HDMI 1.4b standard, it supports up to 1080P resolution. 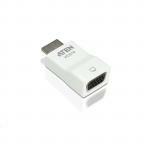 This product has an additional Micro-USB port. 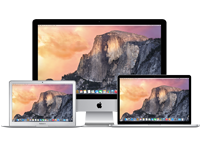 Some devices or monitors require higher power to process the conversion. 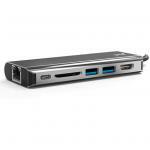 Just connect an external power supply to Micro USB port, it enhances the signal and performance. 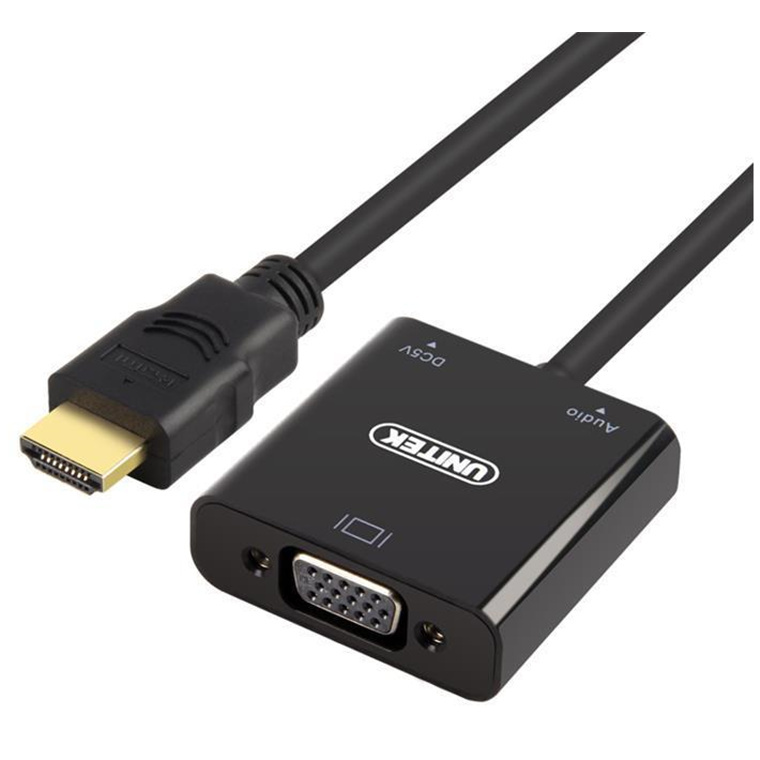 Can this convert VGA output to HDMI? 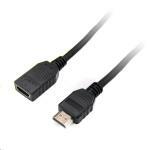 Can this adaptor work for a Google Chromebook R11? 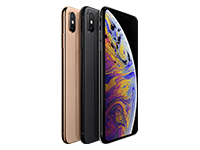 if not which one should i buy? Will this work for monitor resolution 1680 x 1050 (WSXGA)? Very nice and cheap connectors. Used a hundred or two of those for past two years, everything works, no faulty ones so far.Very nice and cheap connectors. Used a hundred or two of those for past two years, everything works, no faulty ones so far. Solid adaptor - fixed issues with previous adaptor that had no cable and did not remain in socket well with weight of cable attached.Solid adaptor - fixed issues with previous adaptor that had no cable and did not remain in socket well with weight of cable attached. 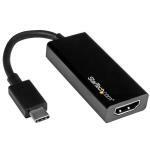 Excellent product to connect HDMI on Notebook PC to a separate LCD Screen. Found this product consistently works very well & highly recommend it. Great value for its price.Excellent product to connect HDMI on Notebook PC to a separate LCD Screen. Great value for its price. Hi- This convertor (and its double, which I already have) serve to simplify my laptop extended screen operation at office and home. It makes my laptop comfortabe to transport and connect. Bruce SmitHi- This convertor (and its double, which I already have) serve to simplify my laptop extended screen operation at office and home. It makes my laptop comfortabe to transport and connect. 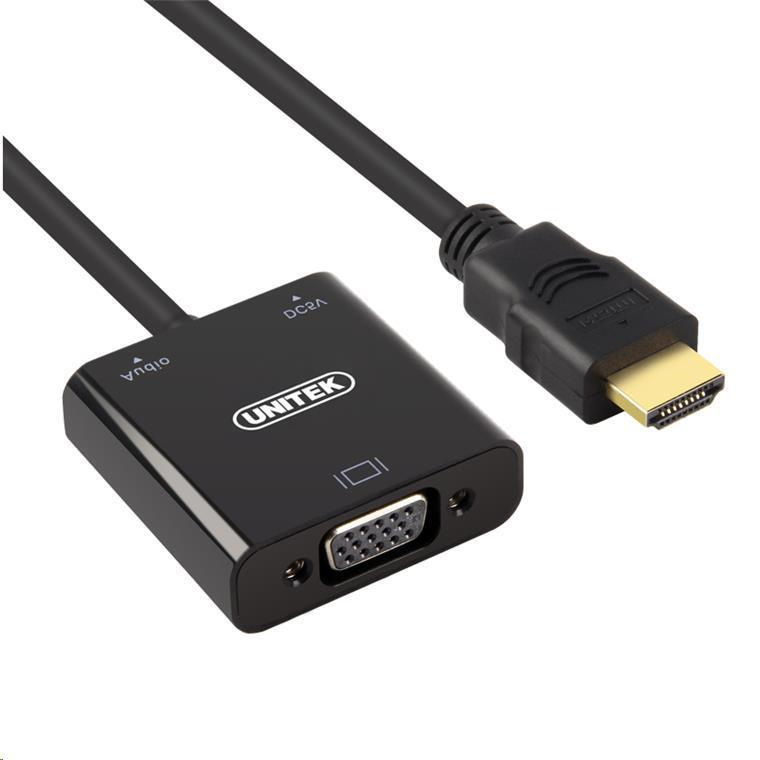 Bought this for a new Notebook PC to connect its HDMI Port to the owner's large LCD Screen with VGA Cable. Worked well. 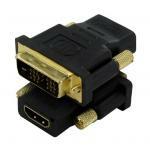 In fact resolution on monitor is better than previously achieved using direct DVI connector from computer to monitor. Used the additional USB power input on the adaptor - not supplied.Worked well. In fact resolution on monitor is better than previously achieved using direct DVI connector from computer to monitor. Used the additional USB power input on the adaptor - not supplied. Works perfectly, Very happy with this product.Works perfectly, Very happy with this product. PB Tech price: PB Tech price: $22.50 ex. $25.88 inc.